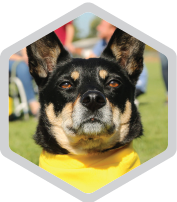 Get the latest events every month, right to your inbox! It’s all about romance. 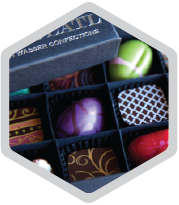 Artisan chocolates and confections, gift market, live entertainment and food truck alley. 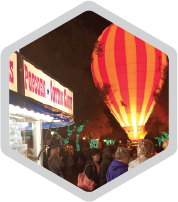 “We are delighted to once again offer a number of themed events throughout this special week that bring the community together to remind us all of our city’s Western roots,” says Karen Churchard, Director of Tourism and Events for the City of Scottsdale. “As our town continues to grow and develop, we work hard to keep a tight grasp on our unique history that makes Scottsdale so special.” Please refer to our website for a list of the weeks events, locations, and times. The courses wind up and down along and across the Rio Salado Salt River and its banks. Each consists of paved and dirt paths with a few small jaunts across areas of the river basin containing river rocks. 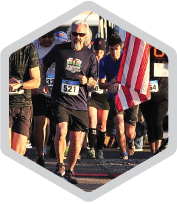 These courses are a perfect way to enjoy the beauty and wildlife of Rio Salado, a hidden gem in the heart of downtown Phoenix, Arizona. 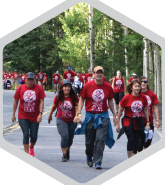 Register now online! Free. 10 am – 4 pm. Motoring Thru Time – Heritage & Science Park. 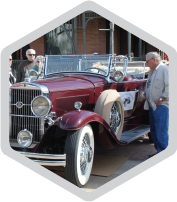 It is a free family event featuring classic cars, food trucks and vendors. Time: ​Doors open at 12:00PM and the auction starts at 1:00PM. 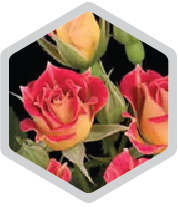 There will be 80 types of roses for auction and 30 types of roses for sale at the Mesa-East Valley Rose Society Annual Rose Auction. This auction will give you the chance to take home a beautiful and unique flower to grow in your own garden at home. You can find the Annual Rose Auction in Mesa at ​Mesa Community College in the Student Center​ on February 2nd, 2019 – Navaho Room – under the clock tower. Location: This year’s parade takes place from 10 a.m. to noon. It embarks from Drinkwater Boulevard south down Scottsdale Road, turn right on 1st street, Left on Marshall Way, turns east on Second Street and concludes heading north on Brown Avenue to Indian School Road. 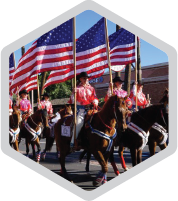 The 66th Annual Scottsdale Parada del Sol Parade & Trail’s End Festival on February 9, 2019 promises to be a full day of wild west adventures in downtown Scottsdale for the entire family,” says Parada President Wendy Springborn. Albesila, an immersive labyrinth of color and light, is a large-scale work of public art to be installed at Mesa’s Pioneer Park. The experience of this giant inflatable sculpture is like walking inside a work of stained glass—breathtakingly beautiful, serene and contemplative. Designed by British artist Alan Parkinson, Albesila can hold up to 80 people at one time and provides a unique experience filled with color, ambient music and wonder. 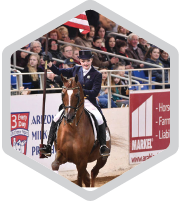 The Scottsdale Arabian Horse Show where Wild West meets upscale arts, culture and fine dining. 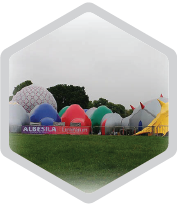 The largest event of its kind in the world, the show attracts hundreds of thousands of spectators. Exciting competitions, gala parties, educational seminars and an international cuisine court, the event features more than 300 vendor booths, offering everything from lavish jewelry, clothing and works of art. Sweets Fest attendees will taste their way through massive sundaes, cotton candy towers, candy-topped waffles, chocolates, cupcakes, lollipops and a seemingly never-ending assortment of other sweet treats. Guests at this year’s annual event, can expect an abundance all things syrupy, sugary and crave-able in this Candy Land come to life event. 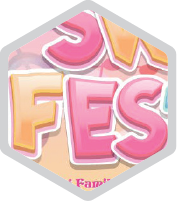 Take a leisurely stroll through the Lollipop Forest or the Cupcake Commons in what can best be described as a giant “Candyland Come to Life.’ Partake in a pie-eating contest and an array of other family-friendly entertainment options to work off those calories consumed. Tickets: $12 online, $15 at the gate; VIP $65; kids 12 and under are FREE; parking is included in ticket prices. 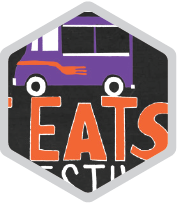 Over 60 food trucks will sell all types of food, with EVERY menu including a $2 sample. Once inside the festival, you can use cash or credit cards at all bars and food trucks (assuming the trucks takes credit card, most do). The event will include live bands, lawn games, eating contests, local vendor marketplace, kid’s zone, cooking classes, and more. The actual Climb is a 5.5 mile hike up Summit Road at South Mountain Park in Phoenix, Arizona. All climbers will experience a change in elevation.